Public Services students had the opportunity to learn about life in the British Army from The Yorkshire Regiment. 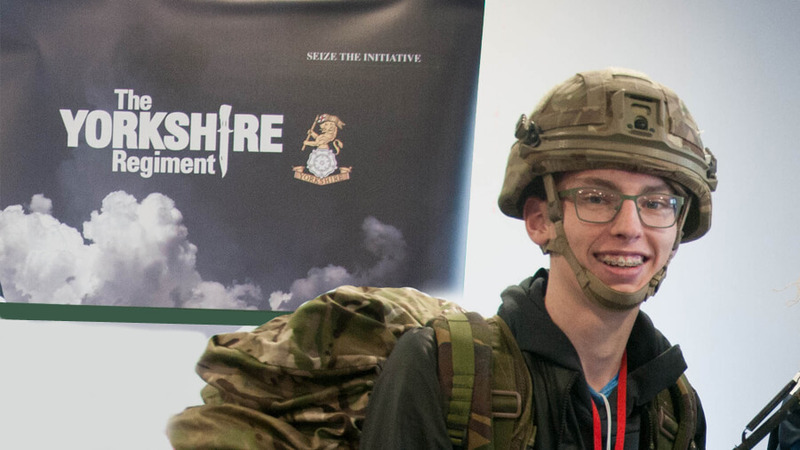 Students were given an insight into the daily life of a British Army Soldier as well as receiving expert career advice and guidance on job opportunities, interviews and requirements within the Army. This was a great opportunity for students to find out about the range of careers in the Army and public services.